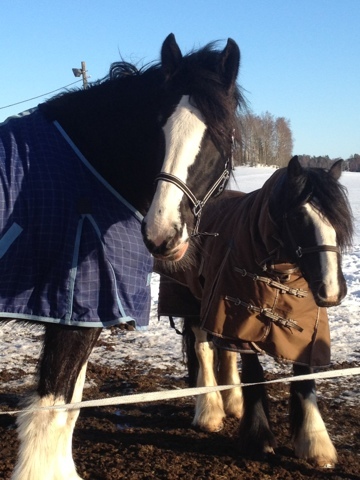 I went to the stables today, my dad drove me& picked me up. I spend good 4 hours there, two of them at the back of ma Lady. 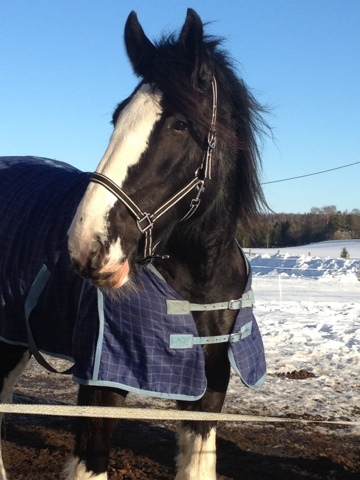 She's a 5 year old Shire mare. Pretty isn't she? 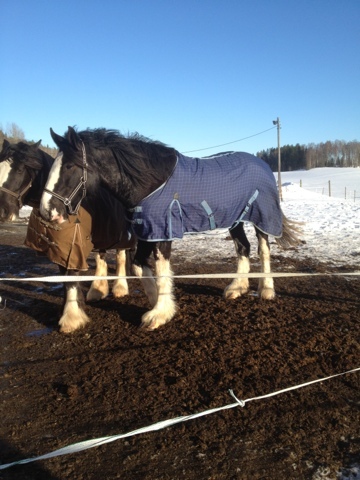 She goes out with Romeo, 4 year old Irish cob. 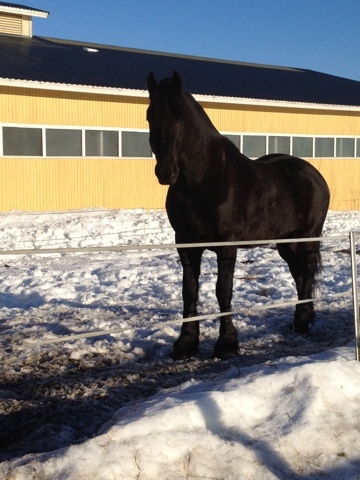 Lady is so much taller than him :D Lady is something like 180cm and 900 kilos....My little pony<3! I'll try to get someone with me to take some riding photos of us, or maybe a video too. Lady moves very nicely, she's light and willing to go. Despite the young age, she never gets scared by nothing.